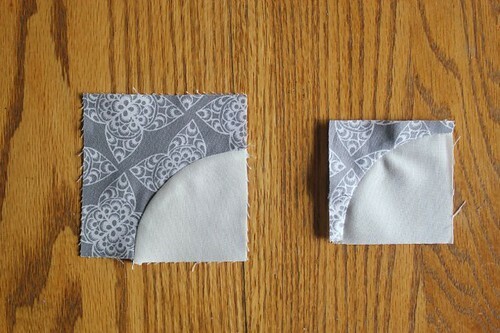 this post is a tutorial for the mini quilt i shared earlier this week. i'm calling it "off the drunken path" - - fitting, right? 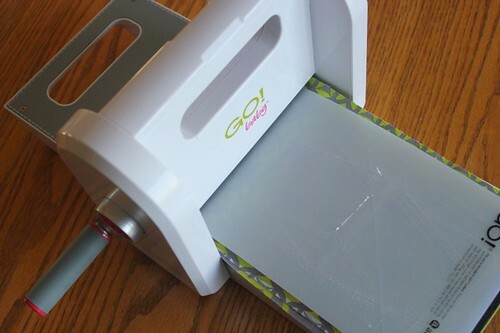 :) i would also like to thank the folks at accuquilt for giving me the opportunity to try out their go! baby cutter! i have really enjoyed the drunkard's path die--especially because i would have never tried this block without the go! baby cutter! thanks! Finished Size: 19.5" x 19.5"
1.) Layer 6 1/2" x 10" fabric pieces (I recommend cutting 4 layers at once) between the Go! 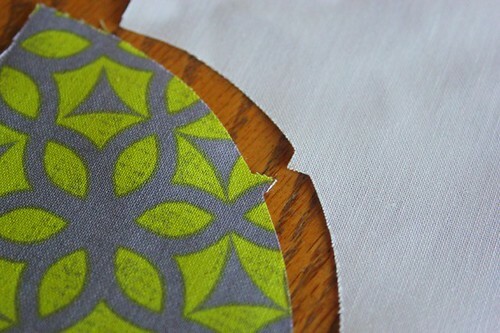 Baby drunkard's path die and cutting mat. 2.) Feed the Go! 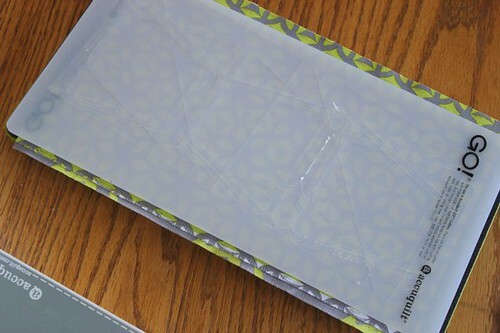 Baby die, layered fabric, and cutting mat into the Go! Baby cutter and crank, crank, crank! 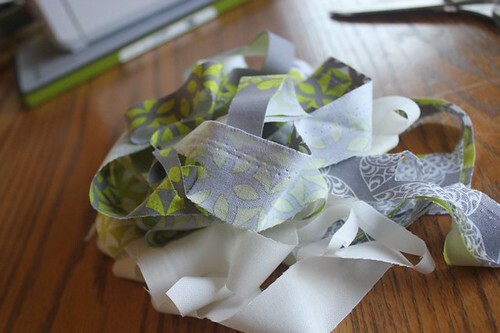 ...but considering how fast I was able to cut these blocks out, it didn't bother me one bit. 1.) Line up your blocks (pair one print with a solid!) using the handy dandy notches made by your Go! Baby cutter. 2.) Pin, pin, pin. 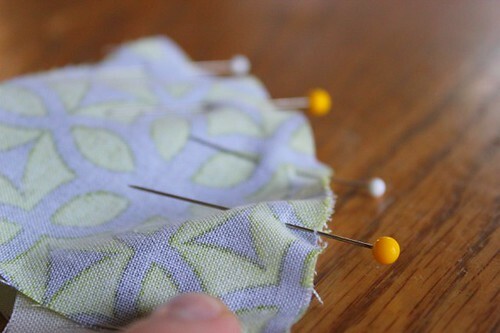 Then sew using a 1/4" seam allowance and press. 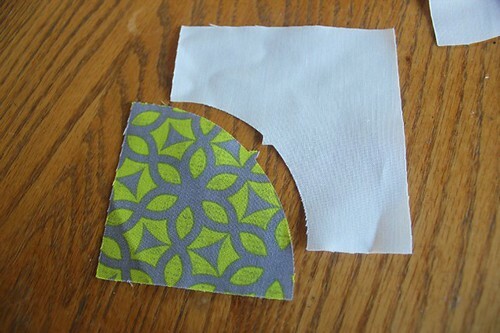 I pressed my seams towards the larger curved piece of the drunkard's path block. 3.) Next, cut your blocks down to 3 3/4" square. 4.) Now taking your trimmed drunkard's path blocks and the assorted 3 3/4" squares (of prints and solid). 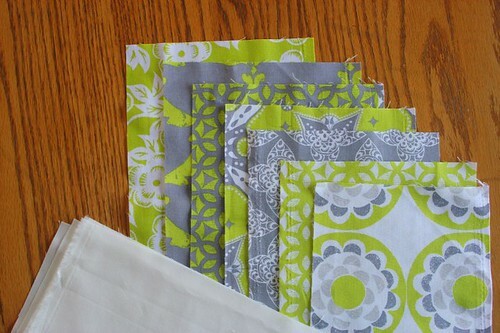 Piece your mini quilt top together following design above (or create your own!). 5.) Quilt, bind, and done! Interested in more Accuquilt patterns? Then head on over and check out these! This is very pretty - it's a really nice take on the drunkard's path pattern. Super cute, Megan!!! Love it! It is a lovely pattern, thank you! That is very beautiful!!!!!! The colors are STUNNING and the pattern is too! Very nicely done. I have just been playing with my own DP die.....lots of fun ahead! Love how yours turned out! love this! I will have to give this a try! gah. 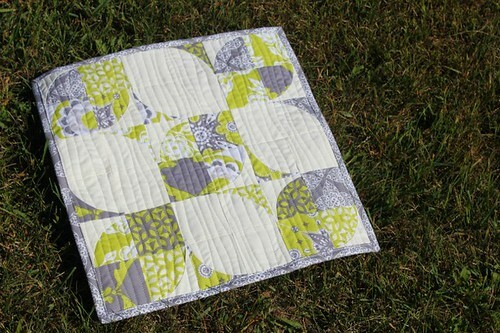 i have always LOVED drunken path quilts, even before i got into quilting. when i found out the name was drunken path it made me love it even more. haven't tried it yet tho. someday... hehe! thanks for sharing! Looks beautiful! I so want that AccuQuilt die! Thanks for sharing. 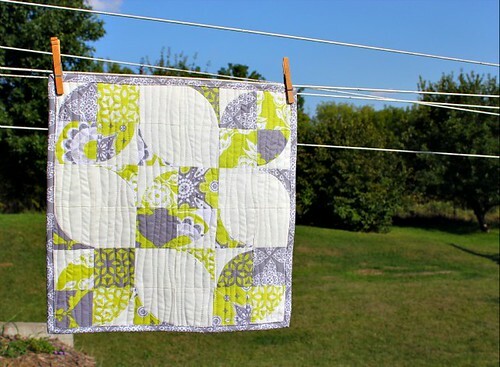 Just gorgeous, I love the colours and the pattern and the quilting, so fresh! Now this to me is the epitome of the modern quilt. Squares on a white or grey background is just beginning quilting. Love that idea- makes for a great shape, will try it on a pillow I think! i love the look of this block. which size die did you use for the drunkards path ? they have several sizes. and is there a recommend of templates/pattern to use for those of us without an accuquilt? 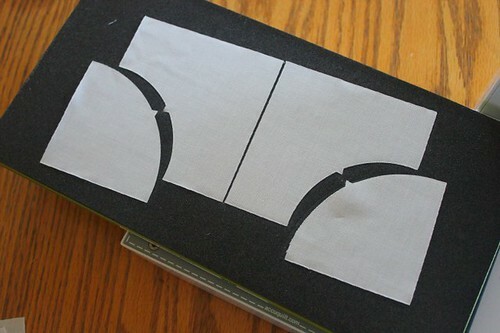 SO are the Go Baby Drunkard's Path templates the same shapes as the acrylic ones I have lots of? I looked at the green and white quilt, and thought the pie and wedges looked more exaggerated (and COOL) than my traditional shaped templates. BUT, if they're the same and it's an optical illusion, I'm psyched!! !